Some people crack under pressure. Not Vilas Pol. 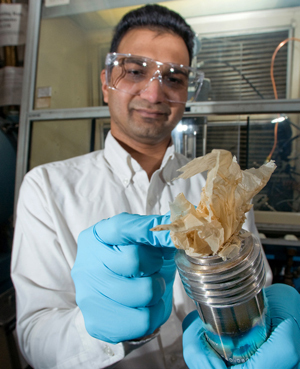 The chemical engineering professor from Purdue University was in his element as he raced to assemble the periodic table in record time, 8 minutes and 36 seconds to be exact, setting a new Guinness World title. 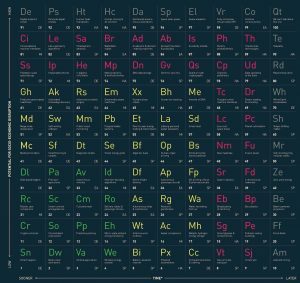 With all 118 elements set in place, Pol raised his hands, celebrated his new title as the fastest man to arrange all the elements of the modern periodic table. The never before attempted world record was completed on Wednesday, August 15, 2018. The future may seem intangible, but according to Business Insider, Academics at Imperial Tech Foresight are helping us grasp just what it might look like. 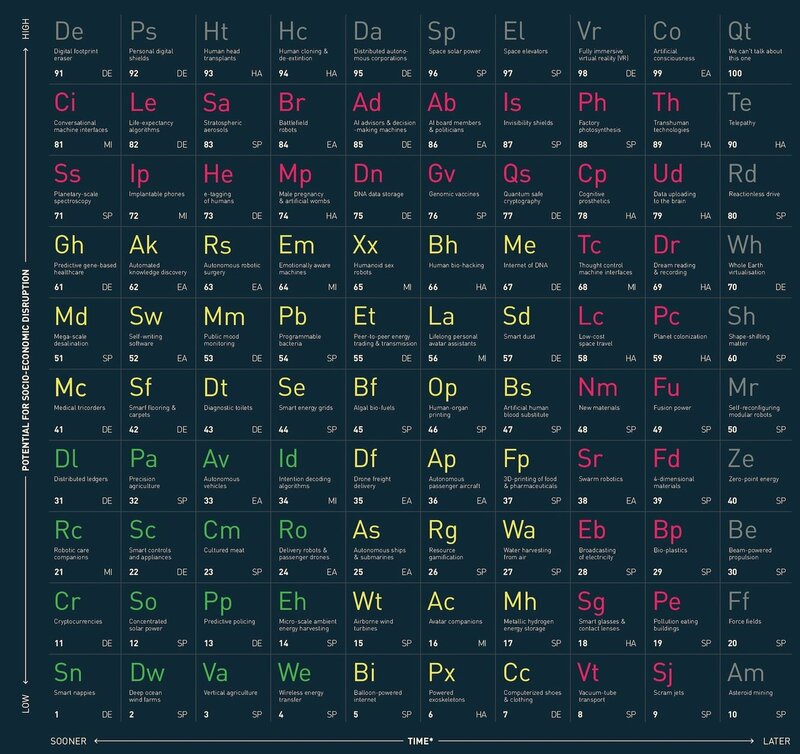 Inspired by the periodic table of chemical elements, the academics replaced its contents with elements we may very well one day see. The predictions are slotted into a space across two axis: The Y-axis ranks the potential for disruption from high to low, while the X-axis determines how soon it will become a reality. All elements are also color-coded to reflect the present, 20 years into the future, and up to the far away future. For example, green elements are a reality now: Cm – Cultured meat, Pp – Predictive policing, and Rc – Robotic care companions. 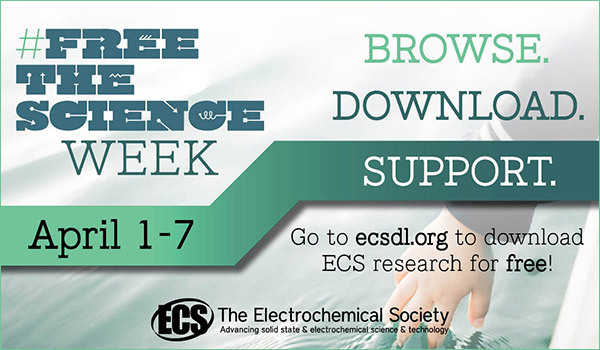 And yellow elements are those that may occur in the near future: Em – Emotionally aware machines, Mm – Public mood monitoring, and Bs – Artificial human substitutes. 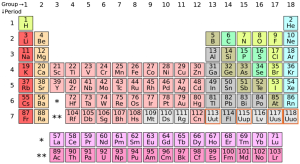 The seventh row of the periodic table has been completed with the addition of four new elements. The International Union of Pure and Applied Chemistry (IUPC) has officially filled slots 113, 115, 117, and 118 with the tentatively ununtrium, ununpentium, ununseptium, and ununoctium. 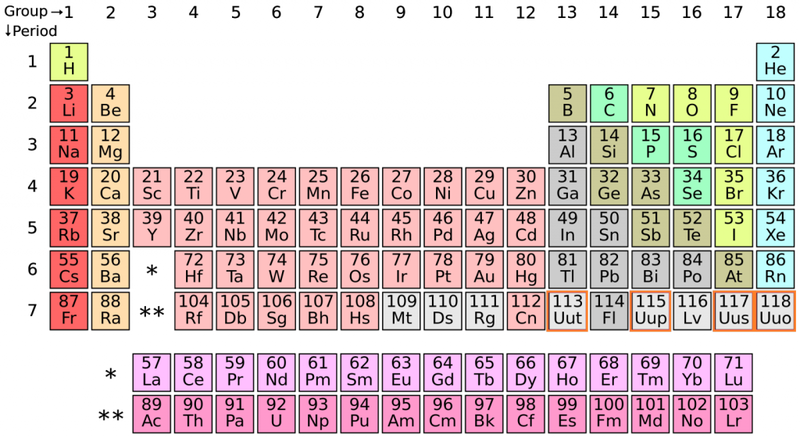 These are the first new elements to be officially added to the period table since felrovium and livermorium in 2011.